We are very happy to announce the release of JANA&Js latest stencil edition. The piece is titled “and then you were gone” and comes in a very low edition of only 9. 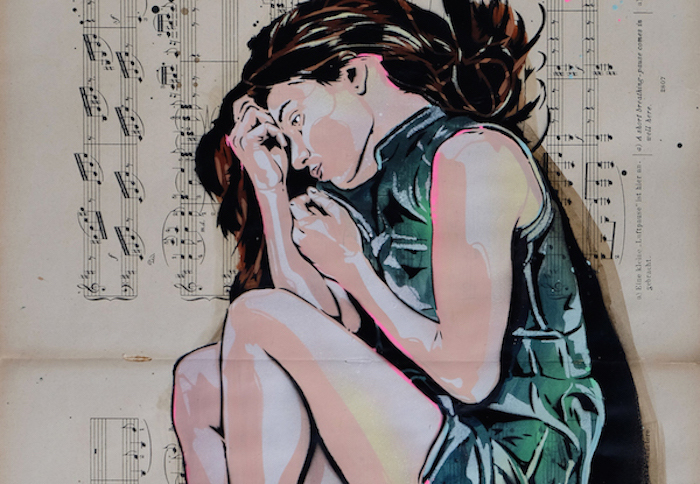 Every single piece of the the edition is hand painted with aquarell, acrylics, ink and spray paint using stencils. 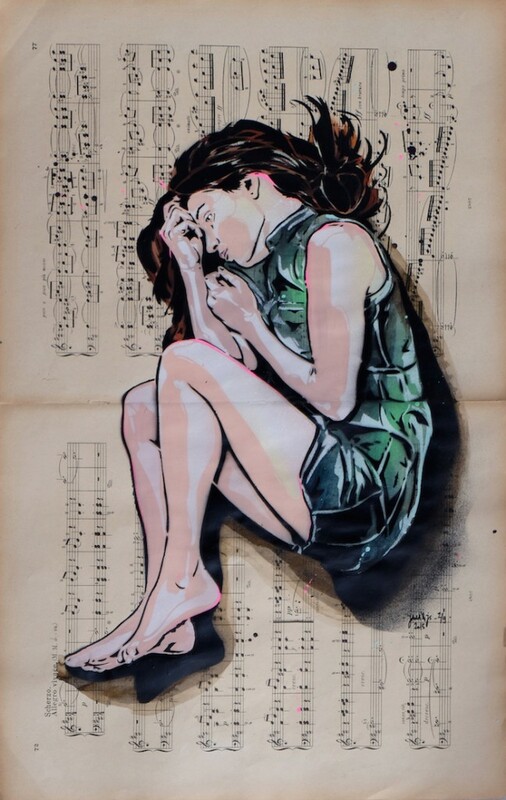 The artwork is painted on old music paper with notations from Beethoven sonatas. The edition will be released on 10th of December at 4pm (CET) and will be available in our gallery in Dusseldorf and in our online shop (http://shop.prettyportal.de). Inquiries please address to info@prettyportal.de.